Wow. Must be bear heaven. Congrats. Vt, Nh and Me all have real nice bear populations. Not over hunted and lots of public land. I've scared a couple off my porch in the past month letting the dog out if that tells you anything. Sounds like the land of Bear opportunity! Kenia Wilderness. 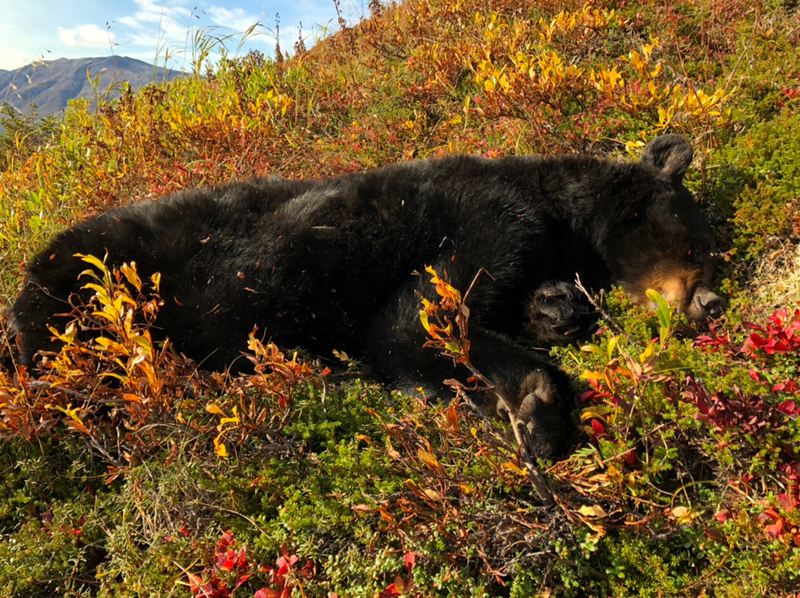 My buddy's bear, but I'm claiming an assist as the spotter, assistant packer, and the one with the meat in the freezer (except for the ham I have curing in my fridge...). About 20 miles in the Zodiac followed by a 7 mile pack up to treeline for camp. 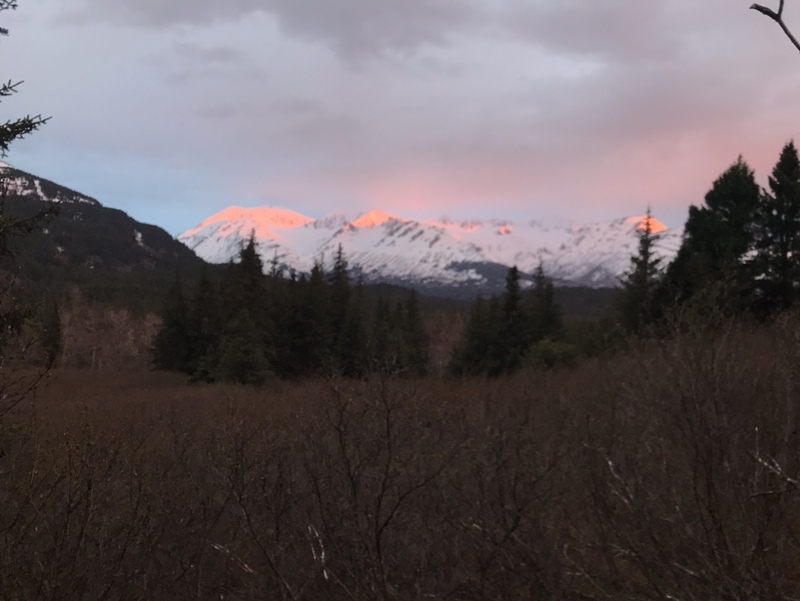 I took this black bear over Memorial Day weekend hiking in on the Kenai Peninsula. I was about 8 miles back from the truck to where I killed him. 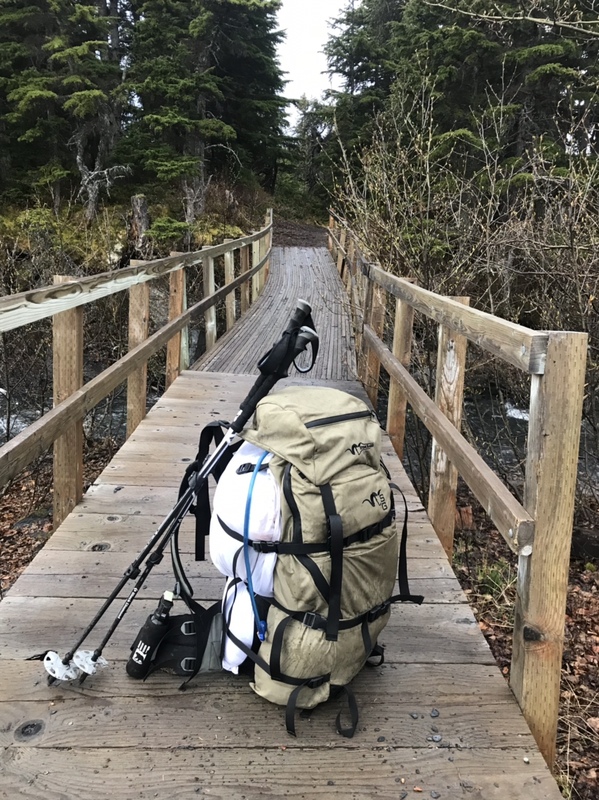 I had stopped at a small creek surrounded by alders to fill up my nalgene. As soon as I was done and walked 20 ft back up to my pack and rifle, he walked down that creek that I was just standing at a minute later. I don’t think he noticed me, I let out a whistle to get him to turn broadside for a shot. Once he turned enough, I fired one shot from my .300 win mag. He took off crashing through the alders away from me and made it about 50 ft. I spent the next 2 days shuttling him back to the truck, it took 3 loads to get everything out. 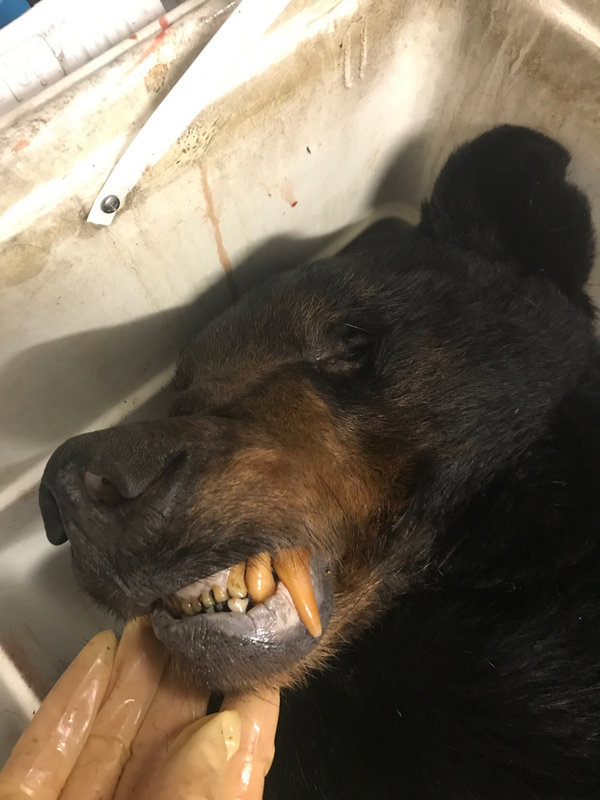 He had a lot of fat on him for a spring bear! 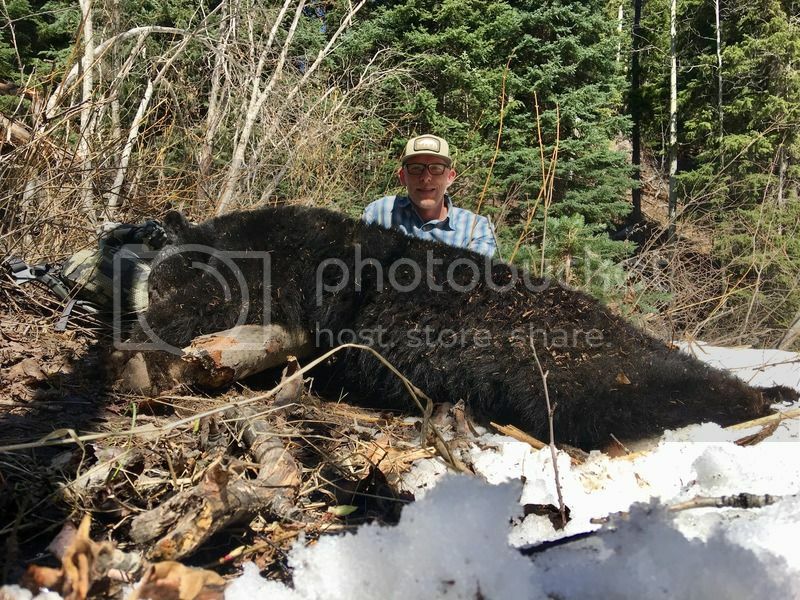 Measured 6’2” and skull was 18 7/16” I believe. Some cool battle scars on his face. 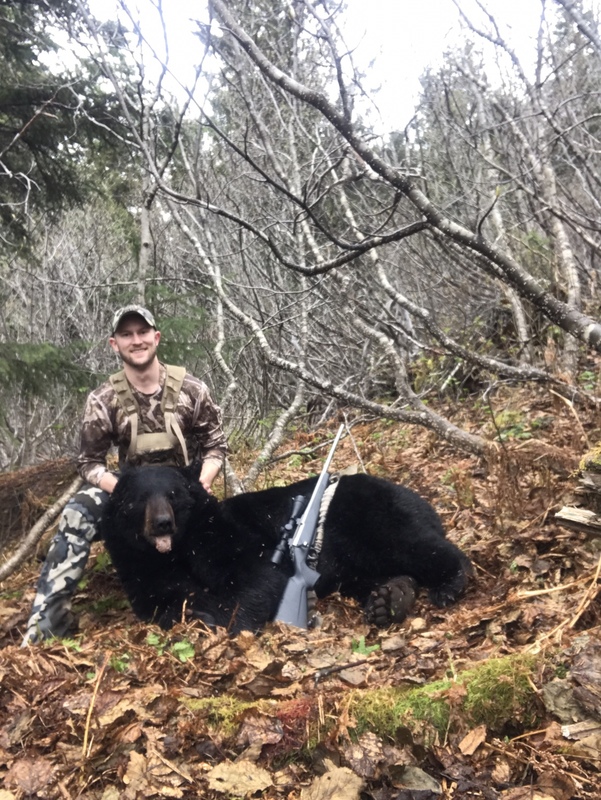 2018 spring bear, SE B.C. 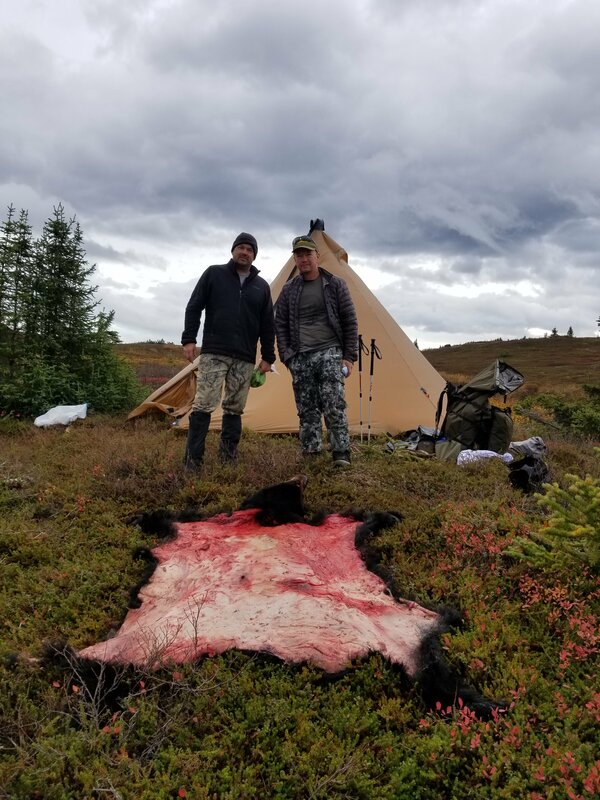 2018 BC spring bear, spot & stalk archery, 20 yard double lung. Spot and stalk with the kiddo, nice work! I don’t have any hero shots as I was solo, but squared 6’6”. He was an old beast, early season, tasted excellent, intestines were a berry factory. Straight up vampire. I'll assume you used a wooden stake! 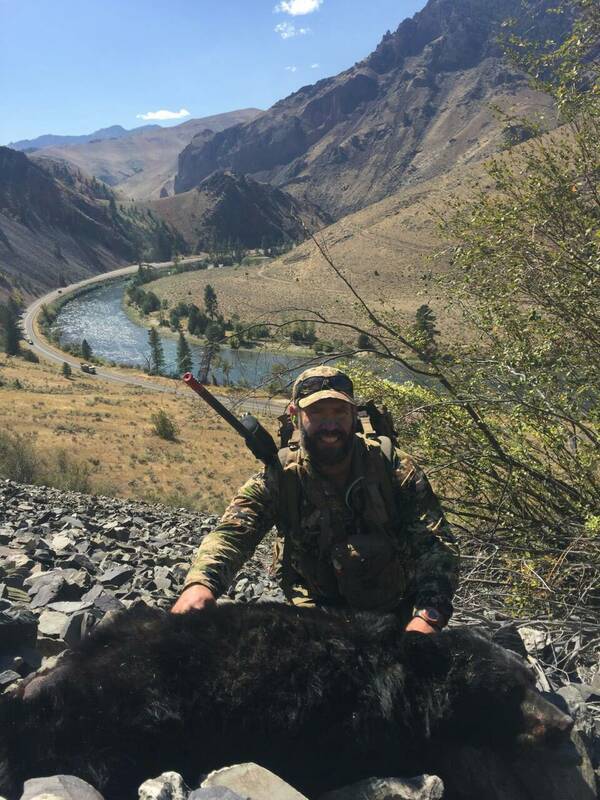 First P&Y bear while hunting with my 2 year old daughter. Tekla that is a hell of a pic! 2018 was great, can’t wait for this spring to get started! December 2nd 2018. PA extended season. Female estimated live weight of 249.